Cogentix Medical Customer Care is ready to assist you! Cogentix Medical strives to deliver the upmost in quality. However, on occasion, customers may need to return product due to a product incident, or in the case of Cogentix Medical endoscope products, for service and repair. All sales are final except when it relates to warranty claims. Before returning your product you will need to complete this form. Customer Care is ready to assist you in completing the form, if needed. 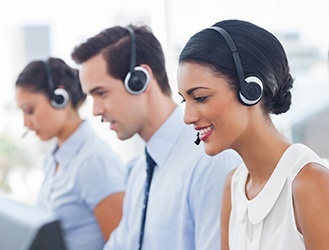 Once Cogentix Medical Customer Care receives the completed form, they will respond within one working day with any follow-up questions and/or return instructions. Note: Do not ship equipment to Cogentix Medical prior to receiving a Returned Goods Authorization number. We are not able to process items received without the appropriate documentation.